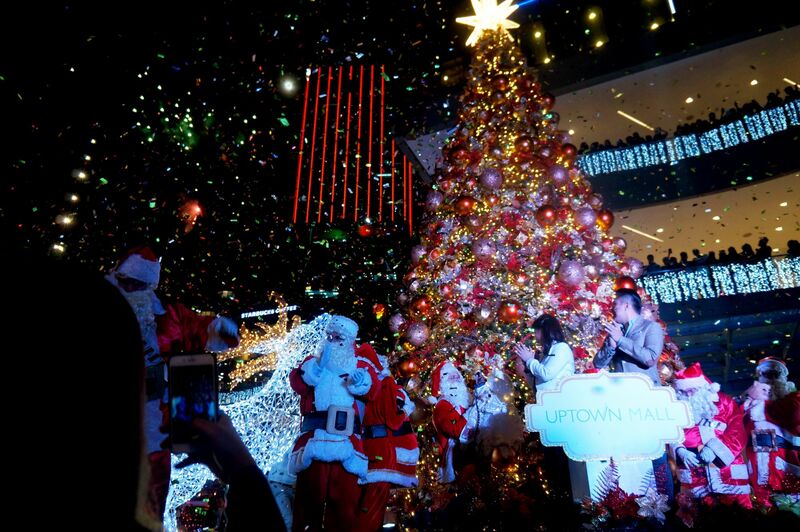 Uptown Bonifacio kicks off the holiday season by lighting up Uptown Mall’s Christmas decorations, led by Megaworld executive vice president and chief strategy officer Kevin Tan and chief operating officer Lourdes Gutierrez-Alfonso. AFP soldiers serenaded the crowd with their rendition of timeless Christmas carols followed by a performance by LED dancers. Light displays from the township’s buildings lit up the night and was even made more festive by a grand fireworks display. For the entire Christmas season, Uptown Mall will have a light and fire musical fountain show that comes alive nightly every 30 minutes. A Christmas Train Ride lets children tour the mall from 21 November to 31 January, while a regular Santa meet and greet takes place as well. Mall-goers may attend Simbang Gambi at the St Gabriel the Archangel Chapel at the mall’s open deck area from 15 to 24 December, which will be surrounded by food stalls filled with traditional holiday fare like puto bumbong. A Christmas Night Market will run from 5PM til 12MN every weekend at Uptown Parade. Visitors will also enjoy exclusive Christmas promos from the mall’s various stores from 30 November to 2 December.